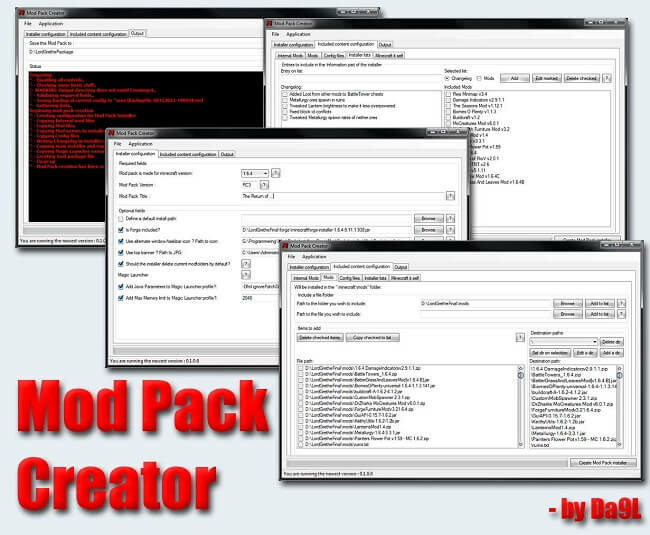 Mod Pack Creator & Installer is a program that lets you create a mod pack ?bundle? with an installer.. Select your Internal Mods, Normal Mods, Config files, include a forge version, add a Resource Pack, maybe even a preset server list.. Customize the installer so it looks as you want and create it. 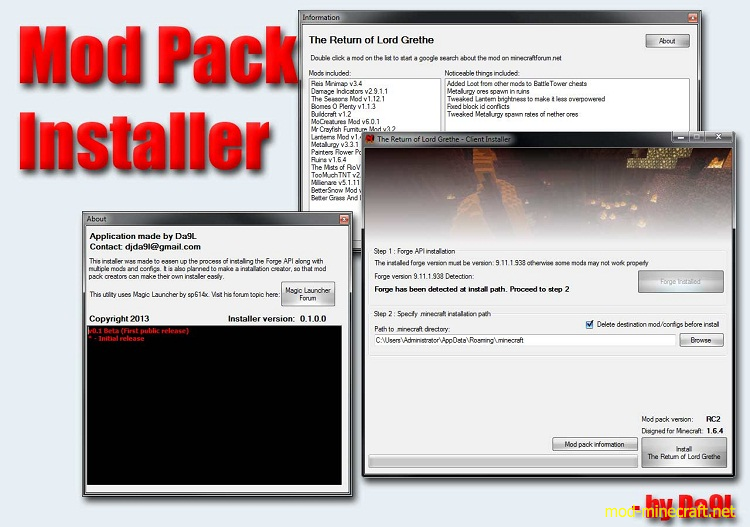 A packed mod package is the created with an installer. This is done with the Mod Pack Creator. 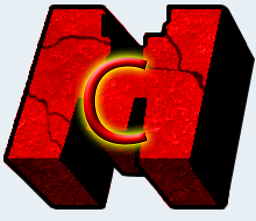 Running the Installer will then, based on the settings you provided in the Mod Pack Creator, install the mods, configs, automaticly create a Magic Launcher profile, and create a desktop icon to launch your mod. If you have included a Forge version and specified a required Minecraft version for the mod, the installer will also check for this, and even download forge discrepancies! Include or create a default Resource pack! Packs your mod pack bundle into a total of now only 2 files! Help button for each setting. Forge detection system. Mod pack is not installable if the client does not install the provided Forge version. Minecraft detection system. Mod pack is not installable if the client does not have the required Minecraft Version. Automated Magic Launcher profile generation based on the mods included.